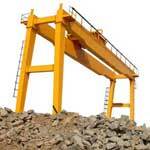 Microtech Engineers & Company is the market leader in the sphere of Industrial Material Handling Equipment. The company is one of the prominent Manufactures and Suppliers of a wide spectrum of Industrial Conveyor System, EOT Cranes, Goliath Cranes, Jib Cranes, Single Girder Crane, HOT Cranes and Orange Peel Grab. 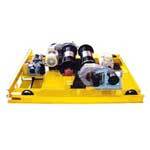 Our equipment is designed in the conformation to the international standard and quality. Coupled with the technical expertise and in depth knowledge of the field, we have carved a niche among our loyal clients. Customer satisfaction is the core of our business endeavor. Reliability, authenticity and performance orientation are some of the terms that define our philosophy. This has won us goodwill of a large number of customers. 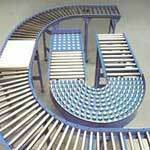 Precisely, for these reasons, we are recognized as a leading Belt Conveyor System Manufacturer in the market. Besides, the company is also reckoned as one of the most credible Suppliers of Single Girder Cranes, Material Handling Cranes and Hydraulic Floor Cranes in the industry.